The high-voltage meter HSM 1 is intended to measure AC voltages of up to 10 kVAC on HAUG power packs (A). This meter is equipped with an additional high-voltage socket for connection to an ionizing unit. 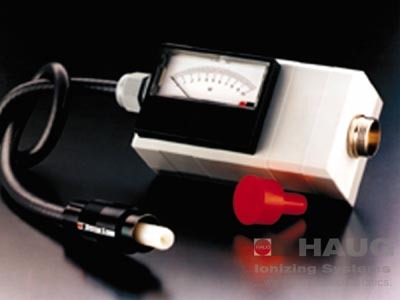 Thus the power pack and ionizing unit can be tested and their voltage measured during operation.